What is a dz file and how do I open a dz file? The Dzip software is a command line application designed to integrate encoding and compression specifications into files and folders selected for compression by the user of this program. A Dzip file is stored in the DZ format and is appended with the .dz extension. These DZ files can be created and decompressed using the Dzip software. The DZIP compression format is known to be faster in creating a compressed file than other compression formats, and the DZ format may also implement better compression ratios than other compression standards. This means DZ files are compressed in smaller file sizes compared to other compression formats. This is why a DZ file may be included with the DZ application itself in some instances. Digital data compressed and stored as a DZ compressed file can be extracted quicker than other files implemented with other compression specifications and standards. 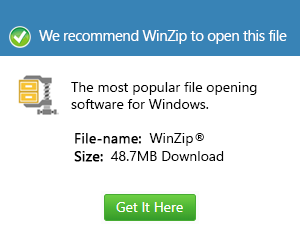 Microsoft Windows users and those with computers running on Linux-based systems can use the Dzip application to create and decompress DZ files. There is also a version of the Dzip software for Mac platforms.